This is a "slice" from a normal heart scan in a 58 year old woman. Heart scan score zero. Look at the lungs , the dark areas left and right of the heart in the center. The lungs are also normal. Black represents normal density, healthy lung tissue. 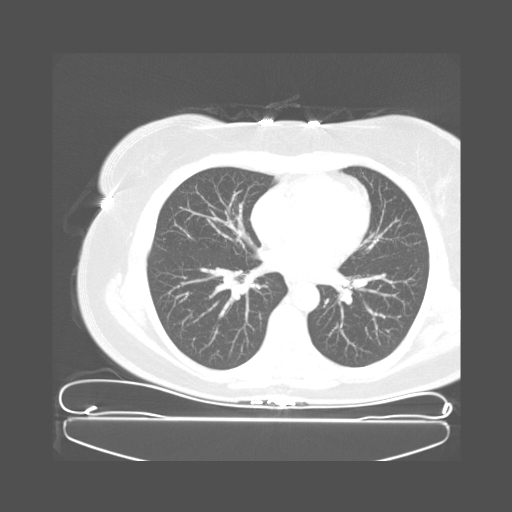 The white streaking is just normal lung blood vessels. This person doesn't smoke. This woman smokes a pack of cigarettes a day and has done so for 45 years ("45 pack-years"). She had a surprisingly low heart scan score (at age 64) of only 71, despite the smoking. 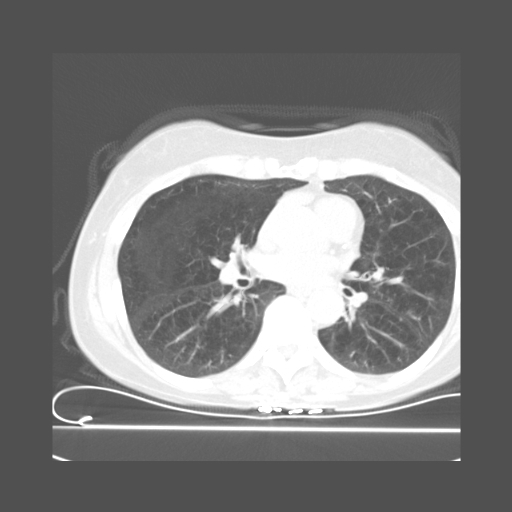 However, look at this woman's lungs. It's a little tough to make out, since the computer graphics loses some of the resolution. But you can see the near absence of lung tissue on both sides. This is an advanced phase of the destructive lung disease, emphysema, from smoking. Even if she quit smoking today, the destroyed lung tissue never grows back. She literally has huge gaps or holes in her lungs where lung tissue used to be. Smoking is among the most destructive, terrible things you can do to your body, short of swallowing strychnine or jumping off a building. Stay as far the heck away from cigarettes as you possibly can. If you are exposed to "secondary" smoke, insist that the person never smoke in your presence. It's not the smell that destroys your lungs or causes coronary plaque (though it is indeed foul), it's the actual smoke.